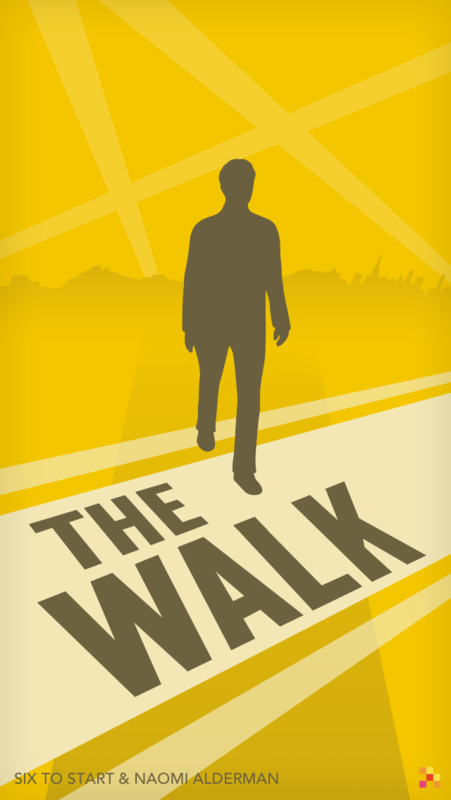 The Walk is a smartphone fitness game and audio adventure released on 11 December 2013. It combines exciting gameplay with a high-octane thriller story, encouraging players to walk more every day. When you're playing The Walk, every single step counts in a journey that will save the world. With 65 episodes containing intricate, fully-illustrated maps, 800 minutes of audio story and hundreds of collectible items to explore the world of the story, The Walk is more than just a pedometer — it's a way to turn walking into a journey, a challenge, and a rip-roaring adventure. And you can use The Walk whatever your level of fitness or mobility, thanks to the game's 'adaptive fitness' system which adjusts to your own fitness levels and gives rewards for gradually increasing how much you move every day. The developers of the Walk, Six to Start and Naomi Alderman, are the creators of the world's bestselling smartphone fitness game, Zombies, Run!, which has over 750,000 players worldwide. The Walk extends Zombies, Run! 's award-winning combination of real-world gameplay and storytelling. Since Zombies, Run! launched, players have been asking for a game with a broader appeal; both in terms of fitness level and genre. By tracking all-day walking, not running, The Walk can be played by almost anyone; and with a suspenseful thriller story that mixes North by Northwest with The 39 Steps, it's aimed at anyone who enjoys a good yarn. Other fitness apps try to motivate users through badges and points. The Walk encourages people to move more — and helps alleviate the boredom of exercise — through a gripping story and immersive gameplay. Like a great soap opera or drama, you'll want to find out what happens next in the story, and the only way to do that is to get up off the sofa. And with a story and game challenges that stretch over three months of walking, The Walk can help players establish healthy long-lasting habits that will help keep them fit into the future. The Walk was funded by the UK's Department of Health and created for the NHS as part of the Small Business Research Initiative competition. By helping improve people's health in the UK, the Walk has the potential to save the NHS millions of pounds. Captivating 3-month story: Over 65 episodes and 800 minutes to audio that'll last players for hundreds of miles of walking. Motivating gameplay: Get rewarded for walking more by collecting items, scanning for information, and unlocking achievements. World-class activity tracking: Just put your phone in your phone or purse and we'll track every step you take, all day. "...you're motivated to actually get up and move around so you can progress further into the story, and it works really well." "The Walk's story and awards spice up your step-tracking with some danger and intrigue." "...Encourages users to walk 10,000 steps-a-day to help improve their health"
"The Walk may be just the thing to get you moving!" "A cross between North by Northwest and The 39 Steps… design to function as a pedometer and game combined." "Incentivizes you to get up and move by making you the star of the show." 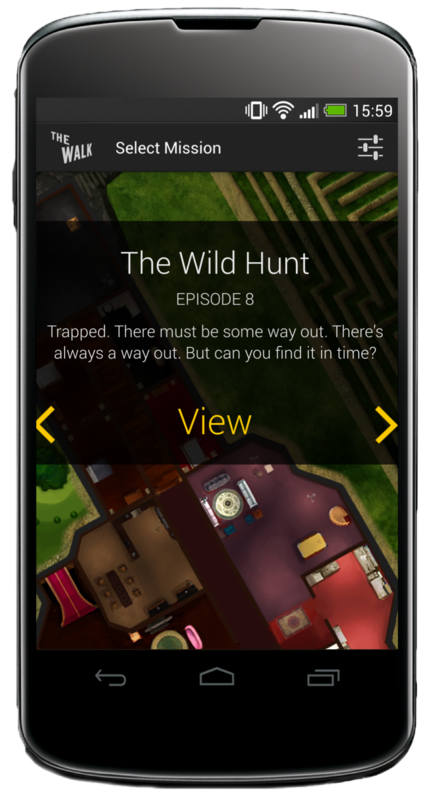 "...Another winning idea is a smartphone adventure game, The Walk, which encourages players to walk 10,000 steps every day." "I think the Zombies, Run! team has succeeded in something no one has before, not even Nintendo; it honestly makes geeks get off the couch. Congrats, team. You deserve a cookie." "[#2 Most Innovative Company in Fitness]... This Kickstarter-funded app is one part audio book, one part video game, and one party sneaky personal trainer." "Zombies, Run! is a really cool way to get outside and exercise. If you've needed some added motivation, try the fear of an untimely and horribly gruesome death." "How an indie took on Nike, challenged the rules of narrative design, and started the Kickstarter revolution." "Need more motivation to go running? How about being chased by a horde of brain-hungry zombies? Wouldn’t your legs move a lot faster if you heard bloodcurdling growls as ravenous ghouls gained on you?" Six to Start is an independent game developer based in London, specialising in storylike games and game-like stories. Their latest game is Zombies, Run!, the world's bestselling smartphone fitness app. More information on Six to Start is available here. Download the Six to Start logo. Naomi Alderman has a background in literary fiction - her novels including ‘Disobedience’, ‘The Lessons’ and ‘The Liars’ Gospel’ have been published in 10 languages, and read on BBC Radio 4’s Book at Bedtime. She’s Professor of Creative Writing at Bath Spa University and she’s won the Orange Award for New Writers - but she also has a genre side. She was lead writer on long-running alternate reality game Perplex City, has made games for the BBC, writes about games for The Guardian and her Doctor Who novel Borrowed Time was published in July 2011. More information on Naomi Alderman, including a full bio and photos, is available here.